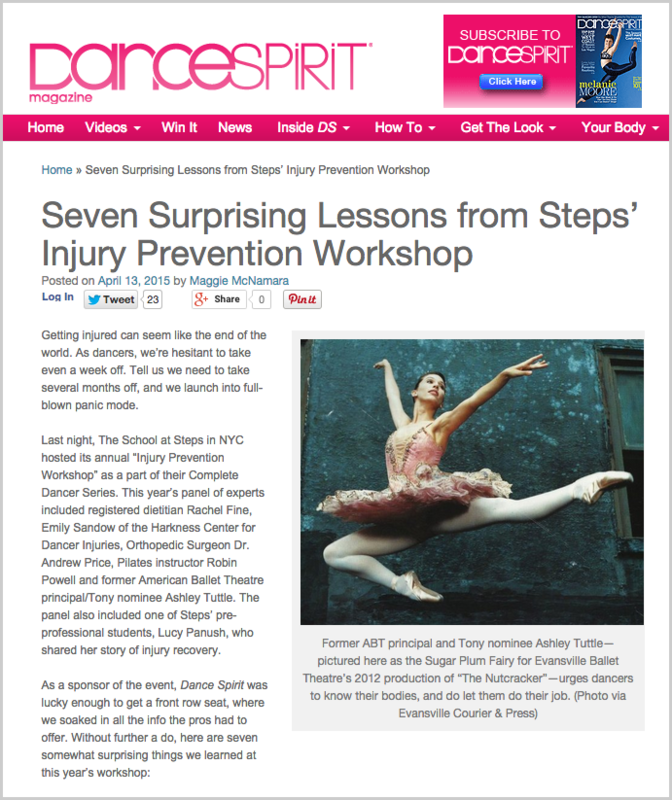 ﻿ Dr. Price Advises NY Dancers at Steps' Injury Prevention Workshop - Andrew E. Price, M.D. Dr. Price takes care of many pre-professional and recreational dancers participating in various dance genres. Participants in dance are both high performance athletes and artists. Yet, dancers are often relatively deficient in aerobic conditioning as well as strength. He combines a knowledge of dance-specific injuries with a sports medicine orientation to provide the patients with modern perspectives on healing to expeditiously return patients to dance.